If you have a new baby on the way and are at a bit of a loss when it comes to pulling together an on-trend look that’ll take you from pregnancy to new mum life, then Sussan has you covered! 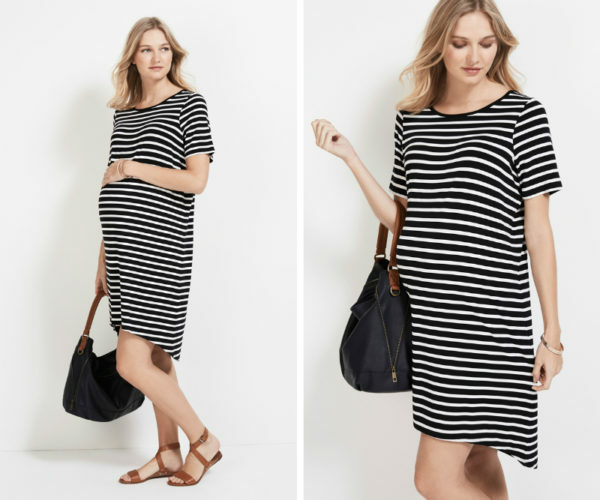 The Sussan maternity range will stylishly see you through every stage of pregnancy. It covers versatile basics through to pretty statement pieces and there’s something to fit every mum. Whether you’re looking for smart things to wear to work or more casual pieces, there’s something in the range for you. Not only that, Sussan offers an in-store styling service to help mums-to-be dress with finesse and learn what works best on their new shape. You don’t have to take our word for it. We asked a group of Babyology mums to head in-store and experience the Sussan maternity range and styling service for themselves. Here’s what they had to say about dressing for two, the Sussan way! What are the key pieces you chose from the maternity collection? What drew you to the pieces you chose? How versatile do you think the pieces you chose will be throughout your pregnancy? How did you find the in-store styling session? Did you have any particular concerns about shopping for maternity clothing that the stylist was able to help you with? Why should mums-to-be consider a Sussan maternity styling session? What are your thoughts on Sussan’s maternity range?